Sooner or later every webmaster gets to the point where he/she needs to collect some kind of data from his/her website’s visitors - the most common, and probably technically simplest, task would be collecting visitors’ email addresses by creating some kind of newsletter subscription form on web page. 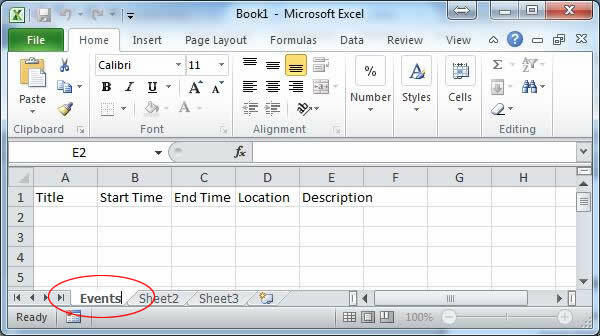 However, since that task is in most cases solved as a part of mailing list service would not make much sense to use it in this article, so we will create small application for adding various events to an Excel workbook. Although many programmers would say that Excel workbook can hardly be called database (and they would be right to some degree) we will still choose it because of its simplicity compared to anything else that can be used for storing data. 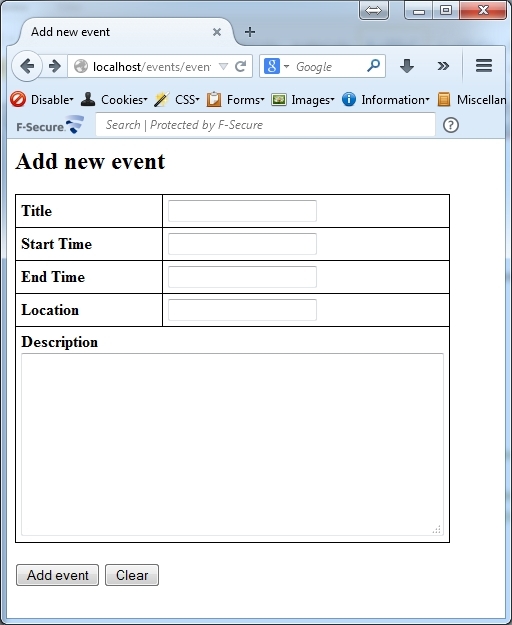 By doing this we actually created a table named "Events” with five fields named "Title”, "Start Time”, "End Time”, "Location” and "Description”. 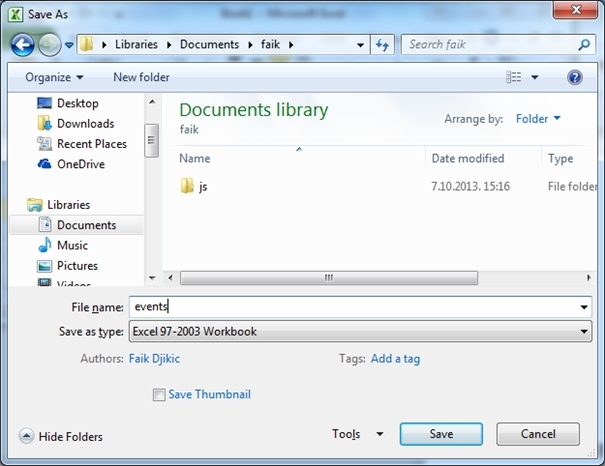 Save the workbook as events.xls (select "Save as type:” Excel 97-2003 Workbook) . 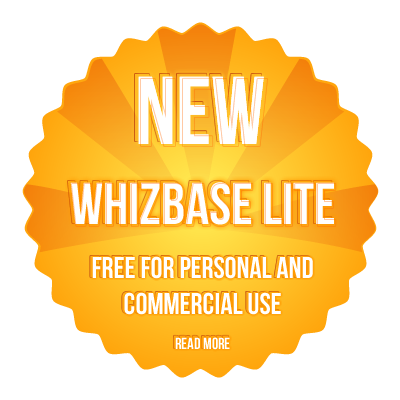 WhizBase works perfectly with all versions of Excel (including 2010 xlsx format), but in this case we will use 97-2003 format as simpler to configure. This concludes creating our "database”. <!-- This is regular HTML document with regular HTML form having text input fields that are named following WhizBase syntax. This is the core of whole application. 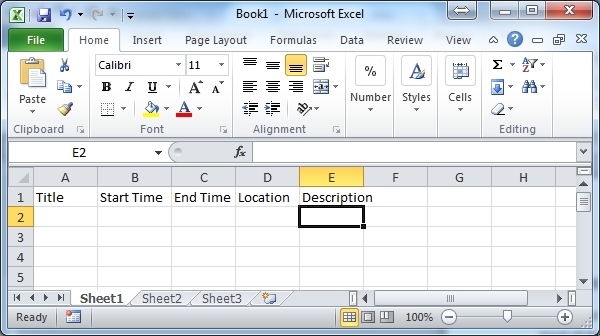 This script connects HTML form and Excel workbook by saving user’s input in Excel sheet. Without this element web server would not know what to do with data entered by visitor, and they would never reach the database, yet it is very simple to build and easy to understand. Comments are marked with green italic font and enclosed in . WhizBase elements are in bold blue font.